Hey Coffeeholics! Its been a while since I've worn jeans for my OOTD but it was raining when I wore this a week or two ago. The top is one of my smart casual/preppy look pegs whenever I'm in the mood to go all out and fashown fashown or when the occasion calls for a more "serious or professional" look. Hehe. But its definitely one of my favorite staples in my closet coz it has never let me down! I'm sure you have tops or outfits like that in your closet. What's yours? 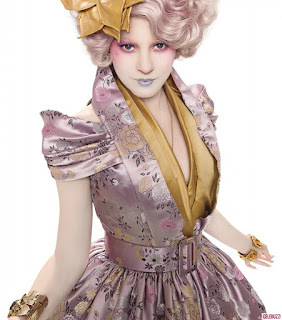 Anyway, I don't think its an appropriate outfit though if I wanted to reflect my fandomness for the Hunger Games! When I wore that outfit, I was thinking more on the lines of comfort and not getting too cold in the cinema house. Yes I was able to watch it and even though I wasn't able to gush and immediately blog about it, I'd still like to give my opinion about it. Book vs. Movie. Honestly speaking, I think they did a really good job. With the limited time that they had, they were able to put the important parts of the book in the movie. Though there were a lot of details omitted from the book which you can easily detect if you read the book first before the movie- I think overall it was done as best as it could be. Here are some of the things I'm so glad that was kept true to the book! 1. Capitol Fashion. When I read the book last year, the fashion that was being described in the book really blew me away. I couldn't quite imagine how it would be pulled off if they made it to the big screen. Now that I've seen it - I absolutely loved it! I know that even some people might even wear some of the attire portrayed there. 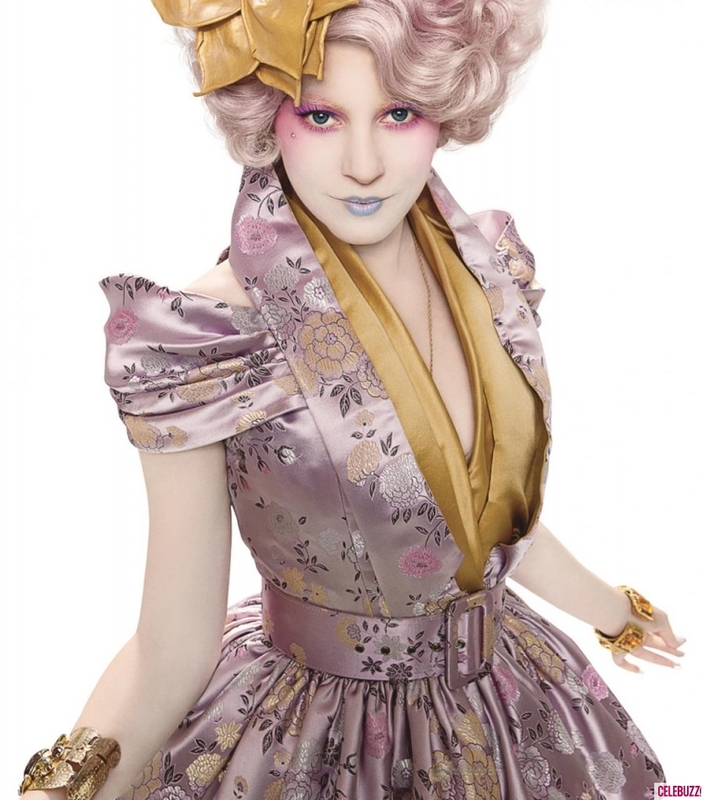 for Hunger Games Capoitol Fashion? I know that our very own Tessa Prieto-Valdez would fit right in the capitol crowd eh? hehe! Hey Coffeeholics what do you think? Swak b? Their similarities in fashion and in the celebrity business is uncanny. Effie Trinket vs. Tessa Prieto-Valdez...I wonder who will win? What do you think hmmm? 2. 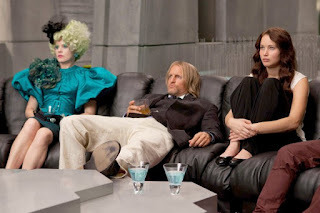 Cinna - Katniss' personal stylist during the Hunger Games. 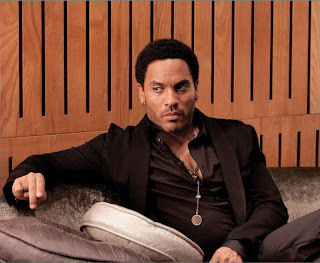 Lenny Kravitz not only looked the part but it felt like he was indeed Cinna! 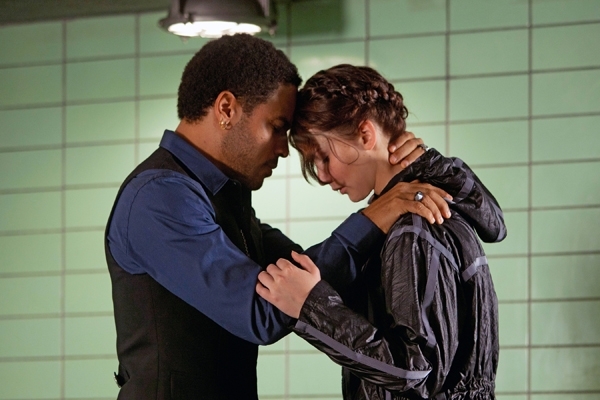 Cinna played an important part and made an impact in Katniss' life during the first book. 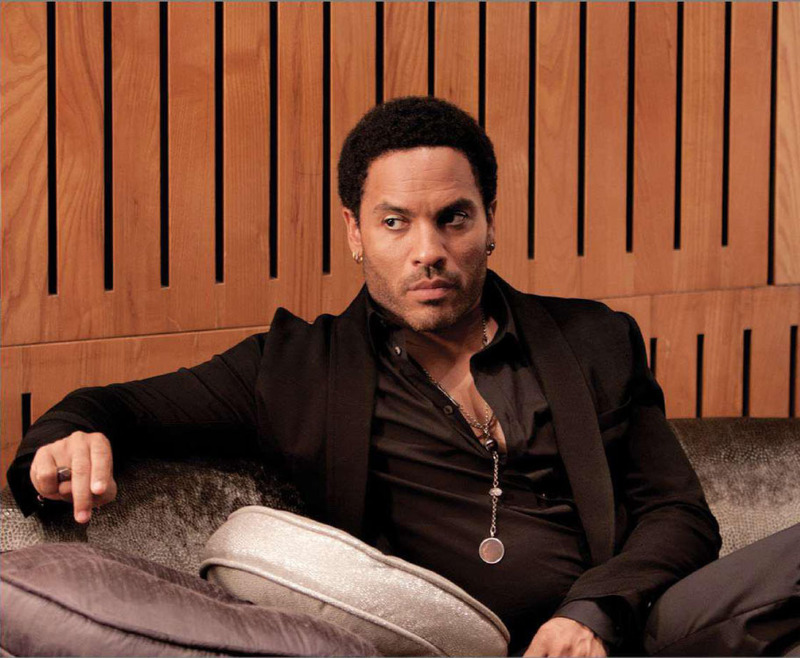 I was a bit disappointed though at the interpretation of Cinna's dresses for the film. Katniss Everdeen in a red hot dress! I felt it didn't convey the shocking and amazing impact the dresses had in the book. Still the essence and the vital parts of the outfit was still there producing the desired "effects" that Cinna himself would be happy to see. Katniss in yellow dress by Cinna. 3. Unsappy Love Triangle. I am very pleased with the portrayal of Jennifer Lawrence as Katniss Everdeen. She was able to capture the no nonsense attitude of Katniss. I love how strong her character was portrayed in the film. It is almost the same as in the book. Same goes for her lovelife! Her awkward friendship/budding relationship with Gale vs. her also awkward love/hate relationship with Peeta really overwhelms the audience. I could hear the collective ooohs, ahhhs, and sighs of the crowd in the movie house as they felt for the two lead male characters in Katniss' life. 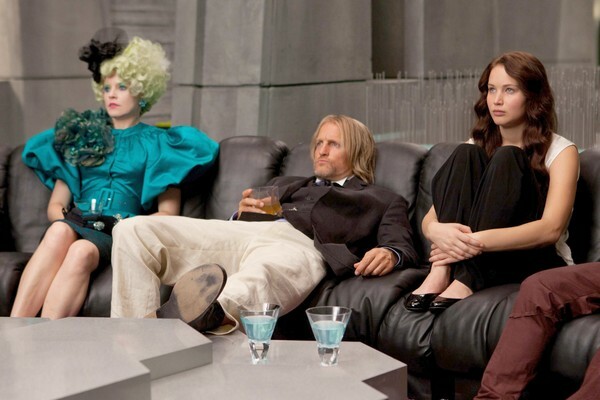 I wasn't expecting Gale to look like that. But Peeta looked and felt the part almost exactly as in the book. 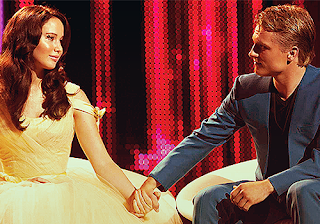 And I for one love the fact that Katniss isn't all lovey dovey and angsty and anxious about the two guys in her life. There is a reason why she chooses a guy in her life. And well, you end up understanding and sympathizing with her choice. But basically my dear coffeeholics, it will now boil down to just one question. 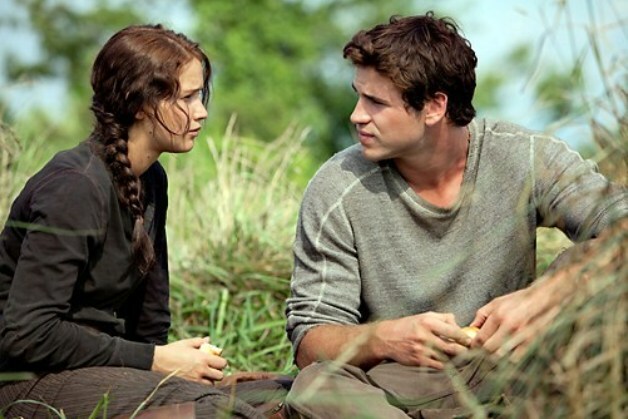 Are you Team GALE or Team Peeta? Me? I'm all for Team Peeta. His blind love, loyalty, and dedication to Katniss is just unbeatable. For me, it beats Gale's good looks by a handful. Haha! So dear coffeeholics, I'm pretty sure I gave you a lot of things to think about or react about. So let me know your votes! 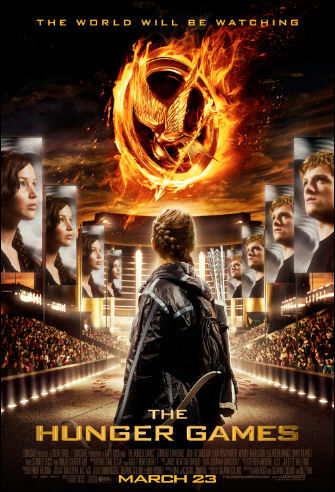 Effie Trinket vs. Tessa Prieto Valdez and Team Gale vs. Team Peeta?